But forget what the ads say. Saving money on your energy bill is not the reason to replace your windows—it could take decades to recoup the $8,000 to $24,000 you’ll spend on new windows and installation. Energy Star-qualified windows can lower your energy bill by an average of 12 percent. That's only $27 to $111 a year for a 2,000-square-foot single-story home with storm windows or double-pane windows, $126 to $465 if your home has just single-pane windows, according to Energy Star. Use our replacement window buying guide to learn which materials, types, and features are most important to consider. We also provide unbiased ratings to help you choose. To find out which windows are best at keeping your home comfortable and dry, we tested more than two dozen double-hung and casement-style windows for air and water leakage. We found significant differences between brands in types and frame materials. Working with an outside lab, we subjected the windows to heavy, wind-driven rain, and winds of 25 and 50 mph at outdoor temperatures of 0°F and 70°F. Given the high cost of replacing windows, the more you know, the more informed choice you can make. Typically a carpet can last you from 5-15 years depending on the foot traffic, quality, and padding. These are all great starting points to determining if you need a carpet replacement. 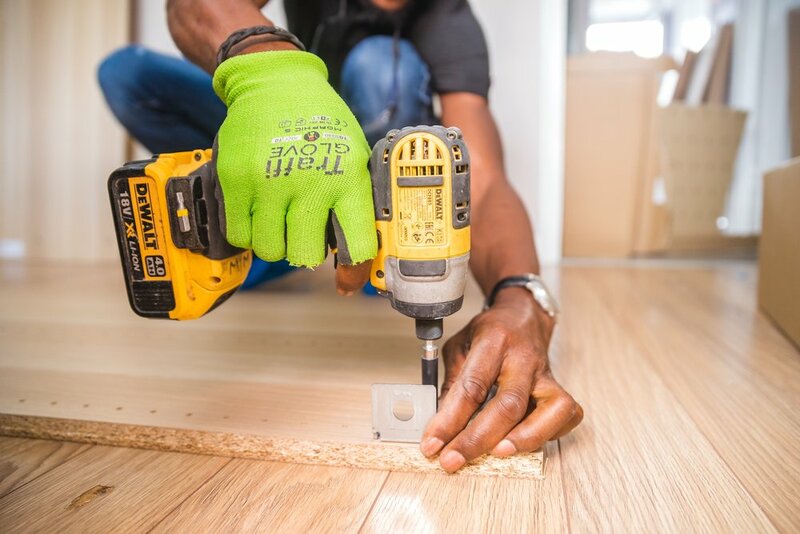 Carpet installation is a little more complex than you might think, as there are a few layers that go in before the carpet that you walk on can be installed. First, there are the tackless strips. These wood pieces have small pins that stick out to hold your carpeting in place. If you’ve never seen these, you might have felt them when walking through a doorway of an older home, where the carpet is wearing low. These strips are nailed into the floor around the edges of the room to hold the carpet in place. The second layer is typically a layer of foamy material that helps to create a cushion underneath your carpeting. Placing carpet directly on wood or concrete will not give it that comfortable, squishy feeling that the cushioning offers. For example, you can usually feel the difference between a floor rug and a carpeted room. This foam also helps to fill the space between the tackless strips so the full room is flush and level and not elevated around the edges. So, When Do I Know That I Need to Replace My Carpets? Usually the musty smell is the key indicator that it’s time to do something about replacing your carpet. Sometimes all it needs is a deep cleaning, but if a deep cleaning doesn’t eliminate the smell, you might have to think about a more permanent change. Many times the cleaning can help with the top layer of carpet, while the spongey bottom layer may be molding or holding more permanent smells. One of the largest absorbers in a room can be your carpet, so pets, smoke, spills, and similar issues can leave you in need of a replacement. Depending on the material of your carpet, some may last longer than others. For example, polyester carpet won’t last as long as nylon carpeting and will begin to start matting sooner. Once a polyester carpet begins to mat, there’s not much you can do to salvage it. One way to keep your carpet lasting longer is to treat it to a deep clean every so often. Deep cleaning will only take you so far with some stains. While they can remove the discoloration for most things, sometimes a shampoo just won’t cut it. Foot traffic and other wear & tear can bring deeper stains to the surface if the padding underneath the carpet is still holding on to it. Some stain removers can also damage the carpet’s integrity. If you have multiple deep stains like red wine, it may be your best bet to fully replace the carpet. Options to replace your carpet include wood flooring, tile, slat flooring, laminate, or even concrete depending on your budget and aesthetic choices. Wood and slat flooring will typically outlast most carpet choices. If you’re looking for a revamp for your floors, reach out to Bright Star for a consultation on your options! Owning a home requires a lot more responsibility than renting. If something breaks down, there's no landlord to come and fix the problem; it's in the owner's hands. That means the responsibility of keeping a home clean and maintained is up to the homeowners. Your realtor, mortgage lender and everyone on the Internet has told you how important it is to keep your home maintained, as well as thousands ways to do it. But why is it so important? As a home warranty company, Landmark's main purpose is to help homeowners who have systems and appliances that fail from old age and normal wear and tear. However, in our contract, we stipulate that if a system or appliance has failed because of lack of maintenance, it's not considered "normal wear and tear. " You shouldn't just maintain your home because of the benefits of a home warranty though (although that's an excellent reason to do so!). There are a number of other reasons home maintenance is so important. This may be the best home improvement you can make. After all, can we ever have enough bathrooms? According to Steve Frellick, licensed contractor and founder/broker of Yonder Luxury Vacation Rentals, a one-to-one bedroom/bathroom ratio is ideal. "An additional bathroom creates greater functionality of a home, while also increasing resale value." Not sure where you could possibly squeeze in an additional bathroom? There are usually a variety of hidden opportunities in homes. This may be an underutilized closet, space in the basement, or "stealing" a little space from a bedroom or hallway, says Frellick. "Bringing your bathrooms into the 21st century creates a high degree of functionality and a huge return on your investment," says Frellick. You don't have to necessarily gut it and start over. New fixtures, fresh paint and light fixtures, and exhaust fans are good places to start. Replace worn out tile with subway tile for a classic look that will appeal to most tastes, says Frellick. If you have more wiggle room in your budget, replace a water-hogging toilet with a slimline, low-flush model. As the sun starts to set and the shadows grow in your home, you suddenly hear a massive thud come from your ceiling. And then a second… and then a third time. Is there an elephant in the attic? You take a look but can’t find anything that looks menacing. Maybe your attic become the resting place for your newest roommate, Casper the friendly ghost? While that’s not likely, you could very well have a squirrel home invasion. These little guys can be cute, but they can also cause a wide variety of expensive issues in your home if you allow them to long-term nestle in the attic. From chewing up wires and making homes in the insulation, this is an adorable infestation that needs to be taken care of quickly. We can’t help you with the actual removal of the animals, we recommend finding a squirrel or pest removal service nearby, and let the experts help you out. Words of caution. We encourage finding an expert, as there are several ways NOT to remove squirrels from your home. Do not seal the hole in which they enter/exit your attic. Blocking their passage and trapping them inside may exacerbate they need to destroy things as they try to get out. OR they may even dehydrate and/or starve in the summer, meaning you’re left to find the smelly squirrel remains before it takes over your whole house. Plugging the hole while they are gone has proven problematic as well. Usually, the squirrels will find another entry point, or create one themselves. The best way to get rid of them, is to trap them and relocate them elsewhere. After the squirrels have been removed, reach out to us to come assess your property damages. We can investigate how the insulation was affected and replace and refill the areas. Insulation is important as it keeps your energy usage low year round. Without insulation, the summer heat would seep in from the attic and thwart all of the cooling efforts that your AC unit works so hard to offer! This works the same way with heat, the heat escapes more easily in the winter and will take more energy to maintain a reasonable temperature. Even if you can handle the temperature differential, you might see your energy bills skyrocket. While addressing your squirrel situation, we can also look at the exterior of the home and potentially help prevention from welcoming more attic friends. Sometimes, a bad gutter may be exposing a hole for creatures to enter the house. Bright Star will evaluate your gutters and can repair, replace, and paint them for you, creating a fresher look for your home! Although not super common, serious infestations can begin to affect the ceilings in your home. If you start noticing water spots above you, it is smart to investigate the source as soon as possible. Drywall is not too expensive to replace, but depending on the cause of the water damage, sooner rather than later is always better. Squirrels will chew on anything, and you never know what might have been a target while they were in your home. For more information, please reach out to us for a Free Estimate on how we can help you recover from squirrel damage in your home! Water Damage? Dry Rot? Drywall damage? If you’ve had any sort of flooding or water leak, it’s important to keep an eye on your drywall for any areas that might be sagging, collapsing, wrinkling, bulging, or falling. Drywall makes up a large majority of the walls and ceilings in your home, unless your home was built before the 1950’s, then it most likely has plaster instead. Drywall is fairly inexpensive to replace comparatively, and can even look like it with the application of plaster over the drywall. Wet drywall can compromise the integrity of the wall itself. When the material gets wet, it swells and can break away from the fasteners, and could be structurally unstable even after drying. If left unnoticed, the life of the wall or ceiling will be drastically reduced. While water damage should be pretty obvious, there’s a myriad of issues that a flood or leak can cause BEHIND the drywall. It only takes between 24-48 hours for mold to begin growing in an area that has been exposed to water. Once the mold begins to grow, the drywall offers the perfect environment for quicker growth to occur. The material itself holds water, which mold (a fungus) needs to activate new spores, while the external paper of the wall is cellulose-rich and feeds the growing mold. This growth can be exacerbated even further when insulation inside the wall also retains water. Different molds will grow on different surfaces, are found in all colors from green to black to pink, and can be toxic in large quantities. Severe mold growths can cause serious upper respiratory issues and skin irritations for humans and animals alike. The best way to combat mold growth is to locate the source of the moisture, remove the affected areas, construct a dehumidification process to remove any leftover water, and replace the damaged materials. Many services offer “mold treatment” sprays and similar processes, but the only guarantee is to fully remove the material and dry everything out. Mold will not survive without moisture. Another type of fungal mold growth is Dry Rot. This is a mold that directly affects the wood in your home and is also known as “brown rot.” This happens most frequently when water damage has not been addressed and wood stays wet for an extended period of time. Other times, dry rot can be caused by improperly dried and cured wood used in construction or decorating. Like drywall, wood provides an excellent food source for the mold. As long as water, oxygen, food (wood), and warm temperatures are available, the fungus will continue to grow. You know you have dry rot when the wood begins to become frail, flakes into chunks, develops a cotton-like or even a flat yellow growth on top. If left untreated, the wood will practically disintegrate. To treat dry rot, there are several options. Some will fill the affected wood with epoxy to seal the rot into the wood and reinforce the strength of the wood. The best option to eliminate mold presence is to remove the rotted pieces, thoroughly dry out the area and fix leaks, treat the remaining healthy wood with a copper compound, and replace with new wood. To prevent future issues, check for leaks in siding, roofing, plumbing, ventilation, and anything else that may allow unwanted moisture in your home. 10. Redo the bathroom—but don't move the pipes. Here’s the biggest way to drastically reduce your bathroom renovation costs.